Dreamgirl earplugs are specially designed for people with small or sensitive ear canals. Perfect for women whose partners snore. 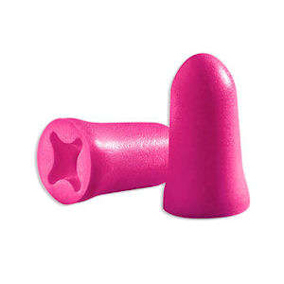 The earplugs are softer, smaller, silky smooth and contoured. Their unique hollowed and flared design limits pressure and maximises comfort, especially during sleep. Please note that the 50 pair tub will not go through a standard letterbox. You might prefer to select a separate delivery address at the checkout if this is a problem. NRR 30 decibels when used as directed.